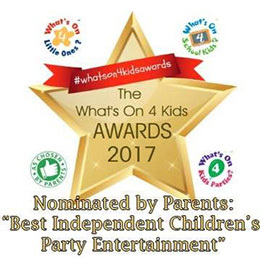 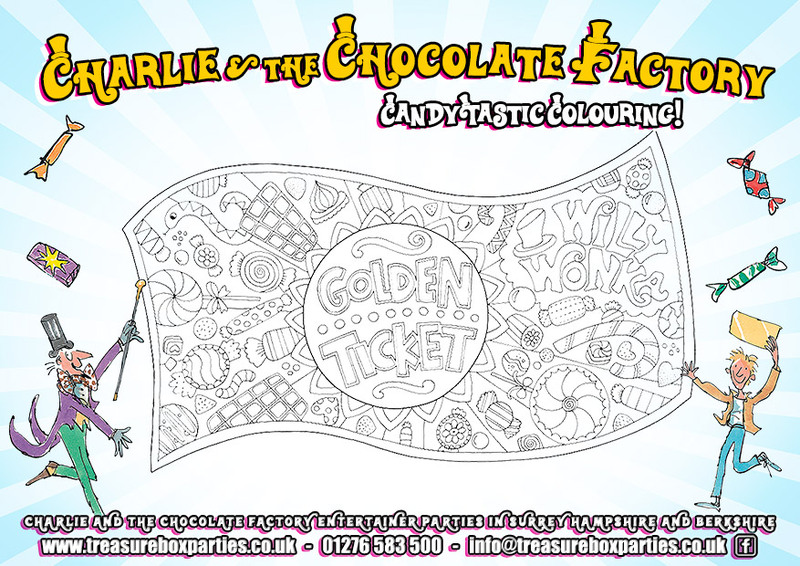 Treasure Box Parties are excited to offer Charlie and the Chocolate Factory Birthday Party Entertainment across Surrey, Hampshire and Berkshire. 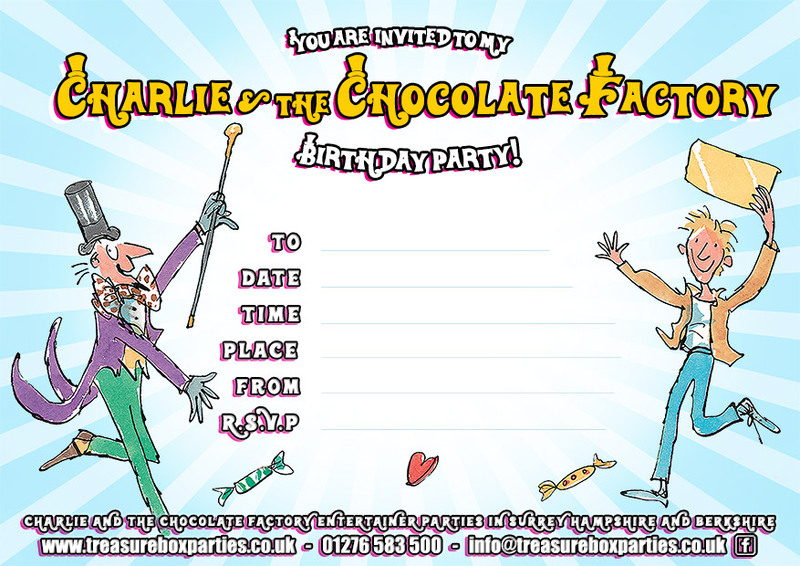 A free printable Charlie and the Chocolate Factory Party Invitation for you to print at home! 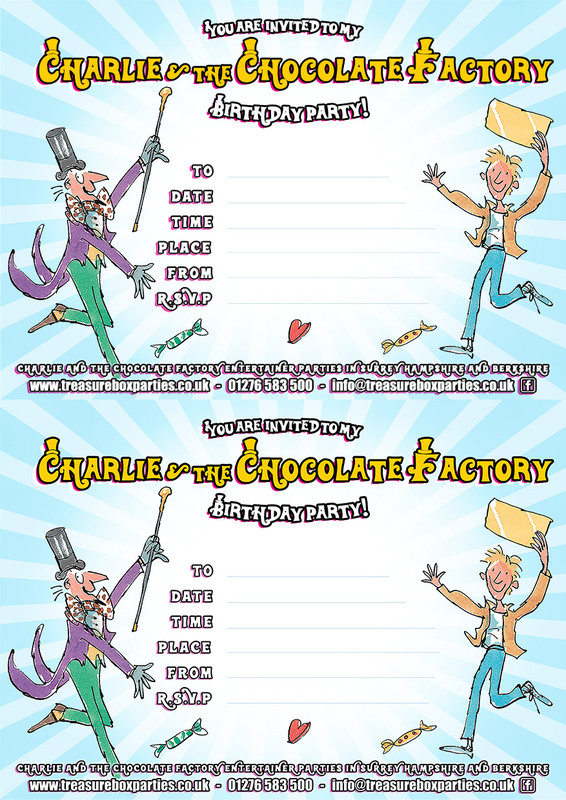 A free printable Charlie and the Chocolate Factory Party Invitation Sheet for you to print at home! 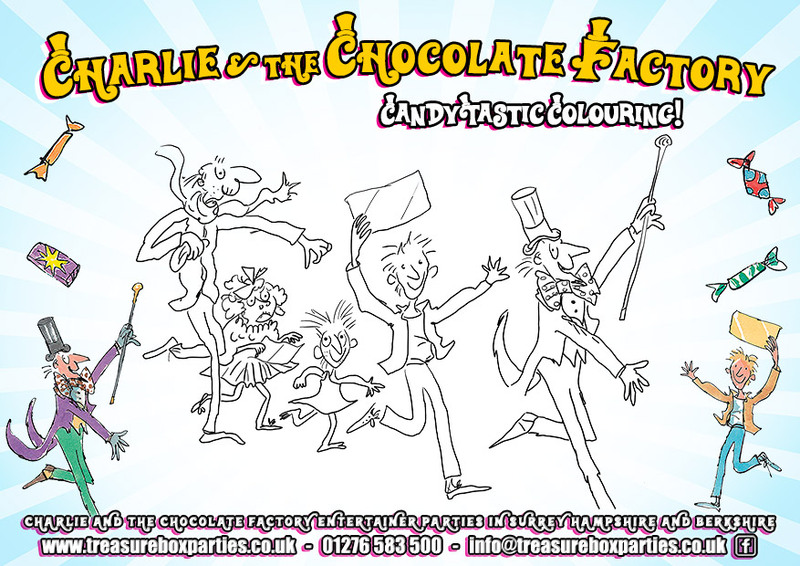 A free printable Charlie and the Chocolate Factory Printable Colouring Sheet for you to print at home! 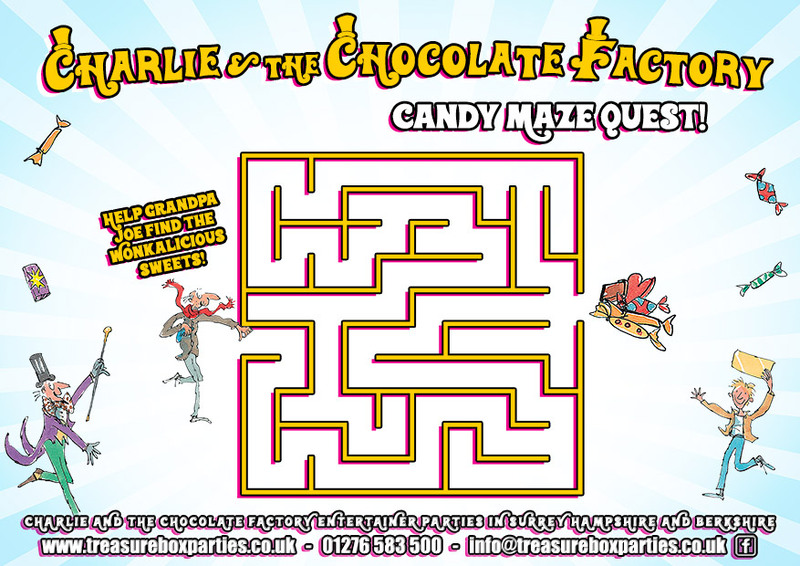 A free printable Charlie and the Chocolate Factory – Printable Maze Activity Sheet for you to print at home! 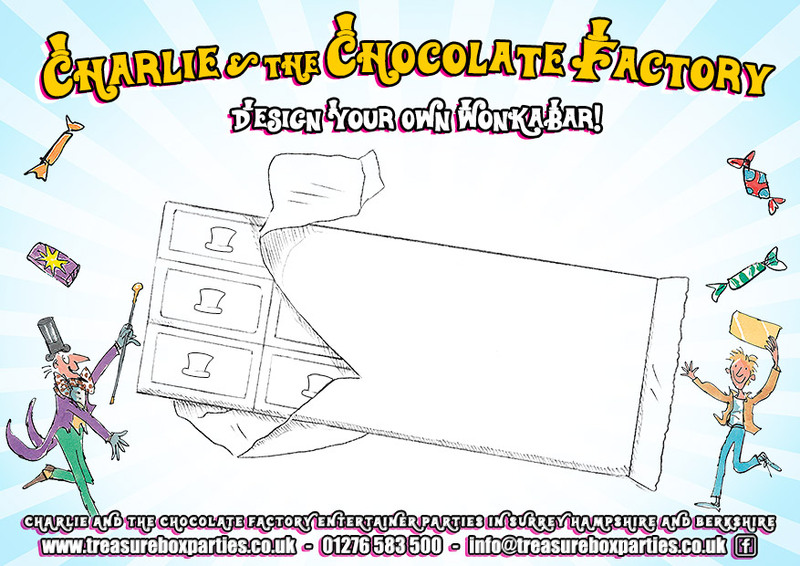 A free printable Charlie and the Chocolate Factory – Design Your Own Wonkabar Printable Activity Sheet for you to print at home!